Brimstone is an advanced, rocket-propelled, radar-guided weapon and can seek and destroy armoured targets at long range. For indirect mode, weapons are launched when the targets and their position are not visible to the attacking aircraft, whereas, in direct mode, the pilot uses an on board sighting system to select the target. The target can lie off the aircraft’s track obviating need for the pilot to manoeuvre to release weapons. Brimstone is currently integrated with the Tornado and soon to be integrated on Typhoon. Future plans also include Apache with some potential for Reaper/Protector in the future. F-35B integration was dropped some time ago in favour of SPEAR Capability 3. Brimstone 2 has now entered service. Brimstone can probably trace its history back to 1978 when the RAF’s steerable cluster bomb (VJ291) was cancelled. Instead of developing the VJ291, the MoD decided to improve the BL755 cluster bomb rather than purchase the US Maverick missile stating that the more demanding stand-off requirement would be developed through the Staff Requirement (Air) 1238. Initial scoping studies for SRA 1238 commenced in 1982 and by the late eighties, the MoD completed a broad market survey with a number of systems emerging as likely candidates with some in full compliance with the requirement, and others only partial. In 1988, the MoD selected Brimstone and SWAARM for further development, noting that a partially compliant system would be both faster into service and cheaper, serving as an interim capability before multinational Modular Stand Off Weapon (C) delivered. MSOW(C) never progressed beyond the concept stage. A great deal of MoD and industry money had been wasted at the stage. Experience from the 1991 Gulf War demonstrated a clear need for a fast jet launched, anti-armour weapon and the project was resurrected. SRA 1238 was back on. SR(A) 1238 was still very demanding, requiring a completely autonomous weapon to provide an all-weather, day/night system that could defeat all known armour and with a generous margin for future growth. Because of the anti-aircraft weapon density in the likely operating environment, the launching aircraft was required to release the weapon from a safe stand-off distance and at either medium or low altitude whilst flying at supersonic speeds. As a final requirement, logistics support and maintenance had to be very simple. Five submissions were received for the AAAW programme. BAE proposed an anti-armour variant of the new ASRAAM anti-aircraft missile, extolling the virtue of commonality. Typhoon would also retain an anti-aircraft capability, a universal missile of sorts. This missile was also proposed as an inner layer air defence missile for the Horizon Next Generation Frigate programme. The 450kg Hunting Engineering SWAARM 2 used an unpowered dispenser derived from the Daimler-Benz Aerospace Mehrzweckwaffe 2 DWS24 that carried sixteen Terminally Guided Submunitions (TGSM). After a toss bombing release, the dispenser was guided to the target area using an inertial navigation unit and when over the target area, ejected the submunitions in a helical search pattern. The MMW and Infra Red sensor would scan for targets and when one was found, deploy a parachute to place the submunition at the optimum height above the target until detonation. GEC Marconi resubmitted their Brimstone missile, derived from the Hughes Hellfire. Thomson-Thorn entered a modified version of the BL755 called the The Advanced Anti Armour Weapons System (TAAWS) that used rocket boosted sub-munitions to increase the effective range. As part of the competition for Staff Target (Air) 428, Attack Helicopter, Brimstone was offered on the South African Rooivalk helicopter. Nearly a decade after the initial SRA 1286 was issued to industry, in 1996, the winner was the Alenia Marconi Systems Brimstone. In Service Date was initially predicted to be 2001. Initial airborne carriage trials were conducted in 1998 and a year later, firing trials were started in the USA, these unarmed tests being concluded a couple of years later in 2001. Further testing continued in the UK including proving the MIL-STD 1760 interface used to transmit data between the missile and a launch aircraft. In 2000, there was some discussion with the US about incorporating Brimstone guidance technology into the US Army Common Modular Missile (CMM) that was intended to replace Hellfire and TOW on ground and air platforms. Also in 2000, Alenia Marconi Systems floated the idea of a laser-guided version of Brimstone it had been developing to the MoD but no further action was taken, instead, an Urgent Operational Requirement (UOR) purchase of AGM-65G2 Maverick missiles was made for use by the RAF Harrier fleet as an interim anti-tank capability. Operations in the Balkans had identified a clear need for an air-launched weapon that could be used in all weathers. The entry into service of the Brimstone, air-launched anti-armour weapon has been delayed because of technical factors that have emerged during the development and trials of the missile and its production. A revised date is currently under review. Brimstone finally entered service with the RAF on the 31st of March 2005, 23 years after the original work on a replacement for the BL755 and the initial release of SRA 1282. The cost of developing the original Brimstone Missile System was £370 million. Dual Mode Seeker (DMS) Brimstone was developed as a variant of the original Brimstone system. Development costs specifically for the DMS variant amounted to about £10 million. One of Brimstone’s principal problems was that the world changed around it. With the Cold War over and the likelihood of massed armour attacks through Germany deemed unlikely, it was a classic Cold War Dinosaur. Still, it was a bloody clever one. In Afghanistan and Iraq, the RAF and FAA found itself without a low yield precision guided weapon with a man in the loop to satisfy stringent rules of engagement. The Maverick missile was available (and used) but it has a very large warhead and so an Urgent Operational Requirement was initiated in 2007 that would see earlier plans for an additional guidance system for Brimstone implemented. This was to be called the Dual Mode Brimstone. 300 first generation Brimstones were converted as part of the UOR (although 500 have now been delivered) with development costs in the order of £10 million. The Dual Mode modifications include a semi-active laser (SAL) seeker head and changes to the software, but it retains the radar guidance capability. Brimstone was intended to be integrated with Harrier, in 2007, a number of initial handling trials were completed. Harrier received operational emergency clearance for Baseline Brimstone but NOT Dual Mode Brimstone. Brimstone entered service with the RAF on the Tornado GR.4. The first operational sortie with a Dual Mode Brimstone was by the RAF in Iraq on 18th December 2008 and the first operational firing took place in June 2009 in Afghanistan. Although integration efforts had continued with Harrier, the deployment of Tornado to Afghanistan meant the urgency was removed and plans were postponed until the planned insensitive variant was available, by then, SDSR 2010 had withdrawn the Harrier fleet. In 2011 the Dual Mode Brimstone was selected as the basis for the Selected Precision Effects at Range (SPEAR) Capability 2 requirement. Selected Precision Effects at Range, or SPEAR, is an RAF programme that is part of the 2010 Team Complex Weapons enabling contract that comprises a number of requirements and partners including Thales, MBDA, and Roxel among others. SPEAR Capability 2 Block 1 (Demonstration & Manufacture) was to replace the energetics (rocket motor and warhead) with insensitive systems and a new airframe for the Dual Mode variants in service. SPEAR Capability 2 Block 3, this will be the replacement for all variants of Brimstone. Capability 2 Block 2 was cancelled. Brimstone 2 will replace both the legacy single mode Brimstone and Dual Mode Brimstone obtained under UOR for Afghanistan. It will incorporate a number of improvements including an insensitive warhead and rocket motor, double the range, better accuracy, a modular airframe and software enhancements. The modular design will also improve access to critical components for easier maintenance. During the development of Brimstone 2, a number of technical issues were encountered. Propellant cracking and liner de-bonding on the Roxel Vulcan rocket motor were discovered in January 2012. This created a number of delays in the development programme that necessitated the need for an additional purchase of non-insensitive Dual Mode Brimstone missiles. MBDA completed firing trials at NAS China Lake of Dual Mode Brimstone from an MQ-9 Reaper unmanned aircraft in 2014. Nine direct hits against nine targets were achieved, the targets representing manoeuvring vehicles. Flight profiles for the Reaper were approximately 20,000ft altitude with targets 7-12km away. In September 2014, seeker trials took place for Brimstone 2 in the USA. With the rocket motor issues resolved further trials resulted in a number of warhead failures. Manufacture was suspended and development extended. In May 2016, Jane’s reported that Brimstone 2 had completed its Tornado operational evaluation trials. The United Kingdom Royal Air Force (RAF) has successfully conducted and completed Operational Evaluation trials of the Brimstone 2 fast-jet precision attack surface-to-air missile. The trials are the final milestone before a ‘Release to Service’ and declaration of Initial Operating Capability (IOC) with the RAF Tornado GR4 multirole combat aircraft, which was originally intended for May 2016. In July 2016, Brimstone 2 entered service with the RAF’s Tornado fleet. The latest version of MBDA’s Brimstone precision strike missile has formally entered service on the RAF’s Tornado GR4. This upgrade is a significant step in the spiral development of the Brimstone weapon. It introduces an insensitive munition compliant rocket motor and warhead. Together with an enhanced version of MBDA’s unique Dual Mode Semi-Active Laser/ Millimetric Wave seeker and an enhanced autopilot this significantly increases the weapon’s envelope (off-axis and maximum range). MBDA is furthermore supporting the integration of Brimstone onto Typhoon. Carriage of the Brimstone three missile launchers and missiles is also part of the flying display at Farnborough Air Show for the first time. Brimstone will enter service on Typhoon as part of the P3E programme and the Royal Air Force’s Project Centurion. As the Typhoon Project Centurion progresses, Brimstone 2 will also enter service on that aircraft as part of the Phase Three Enhancement (P3E) capability in 2018. First live firings are scheduled for 2017. Brimstone is not planned to be integrated with the UK’s F-35B fleet. MBDA and Boeing have successfully completed a series of physical trials and firings of Brimstone on the AH-64E attack helicopter to confirm the feasibility of integrating the missile with the United Kingdom’s future Apache AH-64E fleet. These trials validate a prior UK MOD study contract with MBDA and Boeing that confirmed integration was expected to be low risk. The programme was funded by a UK Ministry of Defence (MOD) contract, awarded to MBDA in September 2015. It included a range of environmental and sensor compatibility trials, as well as functional and avionic trials to demonstrate new platform software and functionality implemented into the platform and cockpit by Boeing. 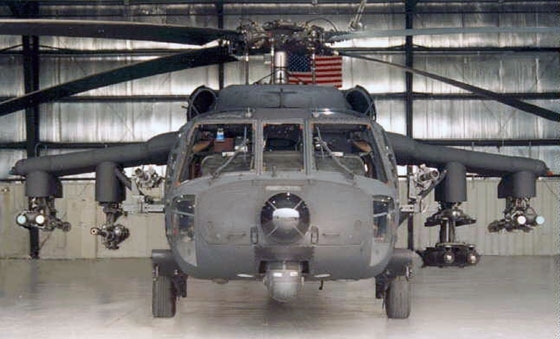 Boeing performed the platform and cockpit software modifications and managed the trials programme at Mesa and Yuma, Arizona, using a leased United States Government AH-64E in just nine months. All this activity culminated in a number of successful guided firings. Brimstone 2 will be integrated with Tornado and Typhoon, but not F-35B. It may also be considered as a replacement for Hellfire II on Apache in a posts 2020 period. Building on AH-64E integration, MBDA have also proposed a variant of Brimstone 2 called Future Attack Helicopter Weapon, click here to view the brochure. In March 2017 MBDA released a progress update on Brimstone integration with Typhoon. “This series of flight trials has included Aero Data Gathering (ADG) flights to test how the addition of the Brimstone weapon and other assets interacts with the aircraft’s flight control system software. The results have been excellent, with the pilot maintaining manoeuvrability whilst carrying a heavy weapons load. The detailed results of these trials will now be analysed and further testing carried out ahead of firing trials. The low collateral Brimstone will provide the Typhoon pilot with the ability to precisely attack fast moving targets at range, further enhancing the aircraft’s already potent air-to-surface capabilities. The trials were carried out with Instrumented Production Aircraft (IPA) 6. In addition to Iraq and Afghanistan, Brimstone was used to excellent effect in Operation Ellamy in Libya where it was for many, one of the standout weapon systems used. There were a few minor problems with DM Brimstone but they were quickly resolved.Two examples of use in Libya are worth noting, the first was against a regime T-55 tank on the 2nd July 2011. The tank had sought shelter from air attack in an alleyway in the town of Djebel Nafusa, It was destroyed without damage to surrounding buildings by a single Dual Mode Brimstone. The second example took place in September near the town of Sebha. A large concentration of regime armoured vehicles was detected and using the Brimstone salvo firing technique, eight vehicles were destroyed in a single attack. Such was the expenditure rate, the RAF’s Brimstone missile stock in the theatre was down to single figures at one point. Dual Mode Brimstone has also been used against ISIS in Iraq and Syria. In October, November and December 2015, the RAF fired, 0, 12 and 9 Brimstone missiles in Iraq and Syria against ISIS. These figures were updated in September 2016 with the publication of the Parliamentary Defence Select Committee Report on Operations Against Daesh. Brimstone continues to be used in Iraq and Syria. Although Brimstone has a common design root as the Hellfire missile it very definitely is NOT a modified Hellfire, with almost no commonality between the two, the guidance fins being the only common component. The G loading, surface friction and speeds involved with supersonic launch made the engineering much more challenging and so although the original plan was to put the millimetric wave radar onto the front of a Hellfire, that is not how it turned out. At 48.5kg and 1.8m long it is a compact weapon and has a tandem warhead to defeat reactive armour. The 300g precursor warhead is tilted at a downward angle to make it more effective against reactive armour and the main warhead weighs 6.2kg. The really clever part of Brimstone though is the guidance system. Operating at the near optical wavelength of 94 Ghz the radar seeker provides a very high-resolution radar image of the target that allows the number of target recognition algorithms to determine whether a return is a tank (and what type) or a tree or building. It is this target recognition that provides the autonomy and allows the launch aircraft to turn away as soon as the weapon is released, leaving the missile to get on with the job. Using a millimetric radar system also confers immunity from target obscuration due to weather and light conditions. The radar has a very narrow emission angle to reduce signatures and the possibility of jamming. The missile also has a number of attack modes and can exclude low-value soft-skinned targets, attack vehicle columns in salvos or exclude certain areas. When attacking an area, the multiple missiles in a ripple launch spread out to fly side by side so they impact targets at the same time. If the target is a column the missiles will fly one behind the other, again, all impacting at the same time. To provide even greater flexibility, the missile can receive targeting information from other platforms, ASTOR for example, proceeding on an indirect flight path to avoid terrain and mask the launch aircraft. The rocket motor accelerates to supersonic speed in less than three seconds and is designed to boost and coast, increasing range and reducing optical and infra-red signatures, which is important when considering counter fire and the deployment of countermeasures. The launch can be from any altitude, including extreme low altitudes. A triple launching pylon allows three Brimstone missiles to be carried per position and Tornado was designed to carry 4 such pylons. With three weapons fitted the pylon weighs 235kg. Part of the development path for the original Brimstone was a different seeker, different warhead and increasing the target set to include maritime targets such as fast attack craft, RIB’s and small patrol vessels. At one stage it was proposed for the Sea Skua replacement. Brimstone was also proposed for the TRACER reconnaissance vehicle programme. A Brimstone missile costs between £100k and £175k depending on whether development and support costs are included. Although weapons release was under human control, target selection within the designated ‘kill box’ did have some degree of autonomy. At this point, it should be clear that Brimstone is a fantastically smart and capable weapon but with a rather limited set of circumstances in which it can be used and so was condemned by many as being wasteful until Dual Mode Brimstone was available. In a conventional interstate conflict as envisaged by Brimstone designers, the need to retain positive ‘man in the loop’ target identification and selection all the way through to terminal attack was simply not needed. Rules of engagement and the interpretation of the laws of armed conflict had moved on since the Cold War and during the counter-insurgency campaigns in Iraq and Afghanistan, legacy Brimstone was essentially, unusable. After interim purchases of Maverick for the Harrier fleet, the Dual Mode Brimstone was actually a very cheap means of delivering relevant and contemporary capability. The Dual Mode modifications included a semi-active laser (SAL) seeker head and changes to the software but it retains the radar guidance capability. Since the introduction of DM Brimstone MBDA has also resurrected earlier work on adapting Brimstone for use in the maritime environment. In a series of privately funded trials MBDA confirmed the ability to use the multiple target engagement radar seeker to target a number of rapidly manoeuvring fast attack craft using salvo firing technique. In addition to using an air-launched Brimstone against small maritime targets, MBDA has also proposed the Sea Spear concept and tested Brimstone launch from a jack-up platform. Fitting the three round launcher to helicopters, naval vessels, and costal defence sites has also be studied. Brimstone is basically a complete makeover for Dual Mode and Legacy Brimstone! Improved engagement envelope with a greater than 200% increase in off boresight and range envelope, although actual range remains the same as Dual Mode Brimstone. Enhanced laser and dual mode performance especially against low reflectivity targets in highly cluttered environments. Despite the initial problems, the new rocket motor is a significant achievement. Brimstone 2 will be integrated with Typhoon in the P3E series of enhancements that will also include Storm Shadow integration, all managed under Project CENTURION to be completed by 2018. The cost of Brimstone/Typhoon integration alone is £168 million. Maximum carriage will be 12 Brimstone 2 missiles. Brimstone 2 is also expected to be integrated on the RAF’s new Protector RPAS, the certifiable Predator B.
Dual Mode: Semi-Active Laser (SAL) designation with Millimeter Wave Radar (MMW) handoff for targets that are difficult to laser designate, such as fast moving and manoeuvring targets and under narrow Rules of Engagement (ROE). A previously-developed fire-and-forget, the MMW-only mode can also be used with Brimstone 2 via a software role change. This mode provides through-weather targeting, kill box-based discrimination and salvo launch. It is highly effective against multi-target armour formations. Salvo-launched Brimstones self-sort based on firing order, reducing the probability of overkill for increased one-pass lethality. The range of Brimstone is generally accepted to be approximately 20km, with Brimstone 2, again, generally accepted as approximately 20km. These are in situations where the missiles launch speed is augmented by the fast jets own speed, for rotary or ground platforms, the range will be reduced. Although Future Attack Helicopter Weapon appears to be in brochure form only, it would appear to be some modification of Brimstone 2, building on the already achieved test firing and integration work with Boeing on the AH-64E. MBDA’s proposed FAHW solution builds on the highly acclaimed Brimstone missile (98.7% effectiveness achieved during in-theatre operations) to specifically meet Attack Helicopter requirements by providing the operator with the ability to reliably and simply engage, in both direct and indirect fire modes, a wide range of target types with its multi-effect warhead. Unsure of cost. Certainly a lot of work for Protector has already been achieved with the Big Safari trials. F-35B will need to be external pylon carriage only as the rail launch isn’t something that can be performed from inside the bay. As noted in the article, officially SPEAR 3 is slated for Lightning II carriage in Block 4 though you frequently see Common Weapon Launcher integration mentioned once Typhoon development and integration is fully complete (AMRAAM, Meteor, Brimstone 2, SPEAR 3, Paveway IV). In the meantime Brimstone 2 carriage by Typhoon, Protector and the Apache Replacement alone is quite a capability. There’s a report of one Tonka firing a salvo of twelve at an armoured column at Sabha in 2011, although there’s not a lot of evidence backing that up. Some reports say that it was a pair of Tornado’s from IX(B) Squadron rather than one and that it was a tank park rather than a moving column. There’s also common equipment carriage to take into account, e.g. although capable of flying with a dozen, Tornado’s often fly with Litening pods which would reduce their load to nine Brimstone and there’s no mention of what was actually carried. Yes, Protector and Apache integration needs to be the priority as we mature brimstone 2. The work has already begun which is promising. That would be a fantastic capabilities across a range of platforms, and it doesn’t make much sense to maintain Hellfire alongside. TD It’s going to cost £168m to integrate the weapon on Typhoon? If it is 3 per weapons pylon for a Tornaod/Typhoon, how many would it be for the Apache? Would it be max 16 missiles as it is with Hellfire or more? Render shows a quad launcher. I guess we will see for real, MBDA have committed to firing a brimstone from an Apache later this year. We will then have tests from Reaper and Apache, at which point all we need is the cash to put it through certification. But that sounds way to logical, cross-platform is a dirty word for British complex weapons! Scrub that, you meant Apache, apologies. Off to get coffee. But would be interesting to see the effect of 50 AH-64Es with Brimstone–same or more firepower than the 60 plus the UK had during the HERRICK operation. Still unconvinced a specialised attack helicopter fleet is the best rotorcraft option for the UK as a whole. We’re in the process of doubling the stand off range of Brimstone as well as rolling out the high precision Martlet, which is in a similar class to the most expended munition used by the UK in air support, the CRV7. There aren’t any systems carried by Apache that can’t be fitted or integrated into other rotorcraft. We have more advanced systems being integrated or in service now on our Merlins and Wildcats alone. The UK needs a solid utility platform fleet far, far more than a specialised AH fleet. That platform doesn’t mean we stop fielding armed helicopters, but think of the uplift in overall capability for all of our services if we ordered a fleet of 84 Apache/Puma replacements, preferably maritime capable*, then double-down on our palletised systems development and integration of our common weapons. * Helicopters with maritime requirements taken into account in their design survived the high salinity Afghan weather far better than those without. 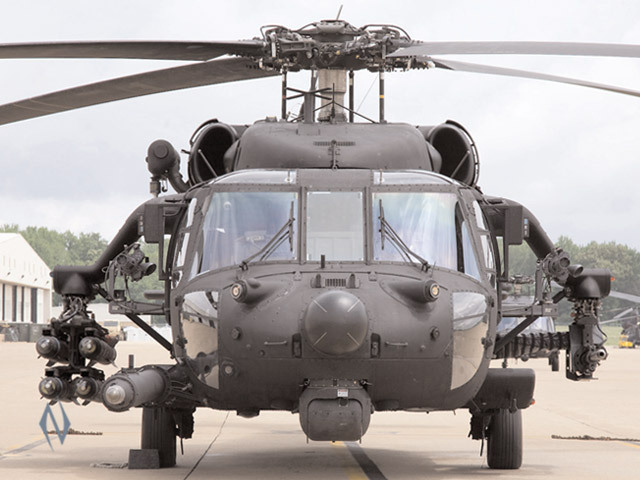 The Merlins, UH-1Y and HH-60’s, for example, did rather well compared to UH-60’s which experienced corrosion rot. We recklessly endangered the lives of our Apache crew by operating them from Ocean during Ellamy. Had they splashed down in water the aircraft would have sank and their cockpit window shatter system would have killed the occupants if activated while submerged. The Apache deployment was a stunt. We were lucky there wasn’t an incident. For what? To show that we didn’t need Harrier or to prove that not fitting Hellfire to Lynx was the right choice? We’ve got to stop architecting our forces on the basis that they are going to be used by others. We’ve got to stop worrying that Hellfire/Brimstone on Wildcat is going to eliminate an armed Army Air Corps. It may be a low risk solution but even on the Apache E’s a OEO or a gearbox oil failure is still a set-down scenario, which when over water even with flotation aids assisting crew escape to a raft is a practical loss of a cab. Compared that to Merlin where up to a TEO or oil-fail is still a potential fly-back, by design. Why do we need a specialised attack helicopter that isn’t maritime focussed to look after UK sovereign needs? For defending the Falklands? Are you going to strap Squaddies to the fuselage, again? HADR in the Caribbean? Is Apache going to undersling water bowsers? Protecting our Bahrain and Oman ports? That means heading out over water again and have you seen historical Apache set-down rates? Or do we want Apache so we can look like we can join in with our American friends or battle the columns of Soviet Russian armour heading towards Germany? Why can’t we join in with a fleet of Light Scout Helicopters instead? The USA are genuinely short of those themselves right now, Apache isn’t the right solution for that role either. Or how about sending in a persistent and sustainable Division of well equipped, highly trained mechanised infantry with mounted ATGW backed up by armoured ambulances and other supporting assets instead of sprinkling a handful of MBT’s here, a flight of Apaches there? Let’s buy some knickers for a change. Rant over. I can certainly agree whatever platform we have needs to have a maritime mode, and we should push for a common platform, which leads me to believe the only reasonable alternative is the WildCat. Does that make a suitable replacement? It certainly has utility beyond the Apache, as well as modern ISTAR capabilities. I would question if it is right at all to be renewing the helicopter fleet at all when the vehicle fleet is in a much worse condition, and in desperate need of some precious funds. The Kill-box MMW capability had been dropped from the DMB and did not appear in the initial advertising blurb for B2, but is back in there now. Will UK B2s have this capability or not? The article above mentions a software change. Is this an “either/or” option that has to be set on the ground and are we purchasing it? If not we will lose the non line of sight killbox capability which was a major selling point for the legacy missile. Secondly, are we sure about B2 for Reaper/Protector? A special version of HELLFIRE was developed for the UAVs with a seeker enabling high off axis target acquisition and launch. I believe this seeker has been incorporated in the latest version for all manned/unmanned platforms which also has a multipurpose warhead designed to replace precious tandem heat, tandem heat with frag liner, blast frag and thermobaric types. If we purchase BRIMSTONE for Reaper we won’t get the benefit of high off-axis or the multipurpose warhead. JAGM is apparently a re-engineered Hellfire with a MMW seeker and semi-active laser guidance. Basically, they’ve reinvented Brimstone and called it something else. Thoughts? I don’t blame them for supporting their own defence industry to be honest, not sure it will have the Gucci kill box target recognition features of Brimstone 2 though, which in this times of resurgent armoured vehicle threats might be a bit of a downer. Unsung feature of JAGM is the strengthened body and altered weight distribution for supersonic carriage and high subsonic release, that’s part of what Brimstone delivers. Still behind in other Brimstone 2 features and success rates… but it will still be cheaper. DOD are targeting the $96k-$136k range depending on service orders vs Brimstone 2’s $145k believed price tag. The primary reason for not buying Brimstone as a Hellfire replacement remains the fact that it isn’t a hellfire replacement until it is integrated on more platforms specifically helicopters and drones. Cost is another consideration but I don’t think it’s the primary one. The kill box tech is pretty much irrelevant to the DOD. They have other weapons for that particular job. Given the relative size of the markets and annual usage seems like handling helicopter platforms earlier on would have made a lot of sense. As it stands I don’t expect wide adoption of the weapon. It likely runs down a similar course to its predecessor. The primary reason is it isn’t US origin. Bit difficult to get it into helicopters and drones when said aircraft are US in origin and they control the weapons integration. The US have form for this with radars and much else but as we seem ever more intent on buying US sole source we may get used to be way dwn the food chain. Seems like there is always an excuse when the real answer is someone didn’t want to spend the money. Didn’t want to develop their own helicopter. Didn’t want to pay price to integrate own missiles. Wanted to use cheaper alternative missiles. It really doesn’t matter. The UK could have paid the money and done the work. The various buyers of the Eurocopter Tiger all got the weapons they wanted on the thing. Israel has integrated their weapons into F-15 and F-16. It is simpler to blame someone else I guess. But has all the looks of a self inflicted wound. Having equipment of American origin doesn’t make it difficult to integrate weapons. As Jeremy said, it comes down to money; integration can be done quicker if the priority is there. Typhoon integration could have been done in a shorter timeframe, but with the retained Tornados, there just hasn’t been a rush. I think integration was previously mulled over for the outgoing models of Reaper and Apache, but managing without has obviously avoided repeating some of the costs. I don’t know how uniquely British the Protector will be, but the replacement Apache will be tacked on to the back of a US Army order, and will therefore come from Boeing USA rather than being Brit-ish variants from Westlands/Leonardo like the last lot. That should mean that the Apache integration will be directly relevant to all users of Apache E, and might see other customers interested in the missile. The F/A-18 integration seems to have some degree of interest from the US Navy, and doesn’t just look like a company effort alone. Unlike the UK, the separation of the services’ procurement in the US does make it possible for the Navy and Marines to pick up Brimstone while the USAF does its own thing with a similar weapon. Yeah it does the number of non US weapons integrated on US aircraft is practically non existent. They have to allow testing and integration which only comes with congress approval and there test aircraft. That’s before we get to them slapping ITAR on everything and some serious feet dragging. They wouldn’t allow Italy to use any weapons on there predator/reapers, they wouldn’t allow paveway 4 to be exported for years, wouldnt allow US radars on gripen for export customers. F16 upgrades in far eastern markets to non us based company’s another classic. The list is endless. Is it now a done deal that the new attack helicopter will be Apache – E off the American line? While that always sounded like the cheapest deal AW were still lobbying hard for an expensive Brit-fix in Yeovil last I heard (although I’ve not been listening too closely tbh). And where does that leave us on marinisation and the recycling of expensive radars etc from the old airframes to the new…? How much unique British spec will be acceptable on the American line before that super attractive price begins to erode…? There are any number of instances but the fact that others are subject to them comes down to one baseline fact. They didn’t spend the money to not be so bound. Other nations don’t own test aircraft because they didn’t develop their own aircraft because they didn’t want to spend the money. Italy is at the mercy of the US on reaper because it bought it and didn’t develop its own. No one forced the UK to use US controlled components on Paveway IV. You could have spent the money to develop it all from scratch and been subject to no restrictions. SAAB could develop or source it’s own radar not from the US. Just like it could make its own engine. But it didn’t to keep cost down. I don’t deny that the US often makes things difficult and does so in its own interest. But it’s only able to do so because the other side of the transaction is getting something in return (less cost, more capability, less risk, political favors take your pick). It seems childish to complain that it’s a bad deal. No one is forcing anyone to sign up for it. France builds much of its own equipment with its own weapons fit to it. Do that. Don’t do that. For the most part no one cares. But it just seems petty to whine on the backend of deals about what can’t be done and that it’s unfair. For the most part it’s a known deal going in. Brimstone as it currently stands isn’t checked out on helicopters (even non US ones, hell you haven’t even put it on British ones yet) which is he first thing they want to replace with JAGM. Someone has to pay to test it and the US is obviously going to default to a US weapon given that there is no other choice ready to go out there. Particularly given the huge market for Hellfire missiles and the numbers the US buys. If Brimstone was ready to do the job being worked on it may still have lost due to national politics but t at least has a better case than none at all. If one wants to play on an even playing field then one needs to spend the money to not be subject to these roadblocks. It’s an uphill climb no doubt. But no one forced anyone else into such situations. Brimstone could have been flying of UK sourced rotary assets for years now to demonstate its viability. It isn’t. You could have sold someone buying Tiger helicopters on it. They didn’t. It could have been the missile of choice for say Turkey’s attack helo. It’s not. Peter, I think the stage we’re at is that as soon as someone finds a pen, the deal will be signed off. There shouldn’t be any unique British spec stuff incorporated on the US line; that’s the whole basis of the new US-built aircraft being the cheaper option. Even with the re-build option, I think there was going to be new radars bought – retaining pretty much just the airframe, refurbished TADS, and RR engines. The E’s new engines are more powerful than the US spec D’s engines, and there’s upgraded transmission to use the extra power too. I don’t know what the answer is to the Yeovil question – whether they’ll have enough work on their plate. The Merlin work -including glass cockpit and folding tails- apparently continues for another few years. Hitching onto the back of the US Army order supposedly delivers substantial savings, so there might still be a few quid left in the MoD’s piggy bank for a few airframe mods to improve maritime capability, but the new radars are said to have better naval utility as it is. Mark, from a UK perspective, delays on integration of weapons primarily come down to the MoD’s desire to spread costs, rather than splashing the cash up front; or simply kicking plans into the long grass in the hope of avoiding the costs altogether, with the expectation that urgent requirements may arise. Other countries, particularly outside NATO, may have greater problems with export licenses and authorisations, but that’s not necessarily relevant to the UK. Those problems are also usually associated with technology security, and strategically withholding particular capabilities from other parties; the restrictions are not primarily designed to stop a customer from choosing a European missile over an American missile to arm an American built aircraft, even if that is a subsequent effect. Odd things like the Italian Reapers are a bit of a mystery though, and I don’t think anyone’s managed to explain the extent of that delay; however, even in that case, the issue was of the propagation of an armed MALE UAV capability, not an issue over whether an American or similar European missile would subsequently arm the aircraft.